Vent filter is used for venting of pneumatically filled silos. The stainless steel contains vertically mounted, Pop-Top Filter cartridges. The pulse jet cleaning system is built in under whether guard. Vent-Filter can be used with any dust generating material as long as it is dry and does not pack under pressure. 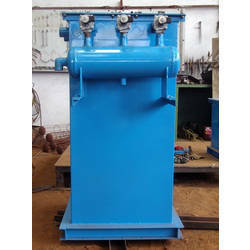 We are dedicatedly engaged in manufacturing and exporting a matchless range of Dust Collector to our esteemed clients. 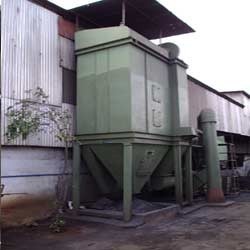 These heavy duty dust collectors are widely used in different industries and are installed properly by the team of experts. It is highly appreciated for its durability, corrosion resistant and long service life and is presented at the best rates in the industry. In addition to this, it can easily be customized and are presented at the industry leading rates.